This is the latest turn in Manafort’s legal saga with the special counsel. 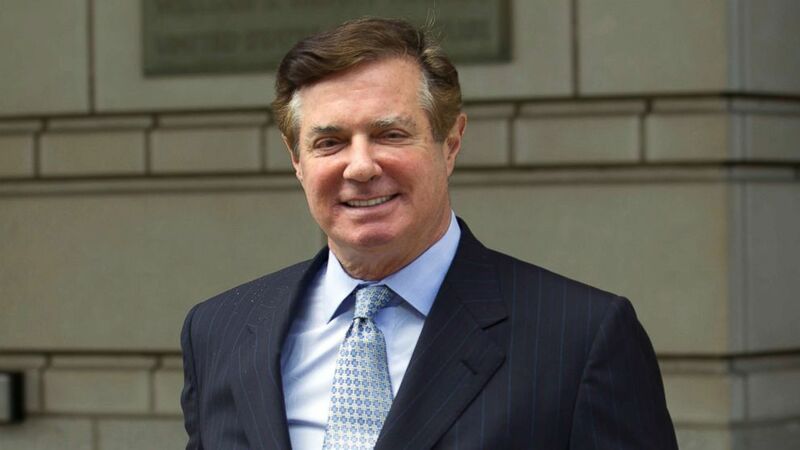 A federal judge on Wednesday accepted the argument by federal prosecutors that Paul Manafort continued to lie to special counsel Robert Mueller’s team after signing a plea agreement, a ruling that means the onetime Trump campaign chairman could face a more severe prison term when he is sentenced in his Washington, DC, case next month. “Therefore, the Office of Special Counsel is no longer bound by its obligations under the plea agreement, including its promise to support a reduction of the offense level in the calculation of the U.S. Sentencing Guidelines for acceptance of responsibility,” Judge Amy Berman Jackson wrote in an order issued Wednesday. (Jose Luis Magana/AP, FILE) Paul Manafort, President Donald Trump's former campaign chairman, leaves the Federal District Court after a hearing, in Washington on May 23, 2018. This latest iteration of Manafort’s lengthy legal saga with the special counsel’s office began in November, when special counsel prosecutors accused Manafort of lying to federal investigators over the course of 12 interviews after he had already struck a plea agreement. The special counsel’s office “established by a preponderance of the evidence,” Jackson wrote, to support its claim that Manafort misled investigators about his contacts with Konstantin Kilimnik, a business associate with ties to Russian intelligence; the source of a $125,000 payment that appears to line up with money he received from one of the well-funded political action committees that backed Trump’s 2016 campaign; and information about another unidentified Justice Department investigation. But prosecutors “failed to establish” evidence to suggest Manafort lied about his contact with administration officials and Kilimnik’s role in the special counsel’s obstruction case against Manafort. But Jackson agreed with prosecutors that Manafort’s alleged lies amounted to a breach of his short-lived plea deal with prosecutors, which Manafort struck on the eve of a second trial in Washington, DC. As a result, he could face a lengthy prison term – potentially up to 80 years – though most likely closer to seven years, legal experts said. Jackson’s decision on Wednesday marks the latest legal blow for the veteran lobbyist and GOP operative. In August, a Virginia-based jury found Manafort guilty on eight counts of tax and bank-fraud related in part to his work as an unregistered foreign lobbyist. As part of his plea agreement in the Washington, DC, case, Manafort agreed to plead guilty to two counts of conspiracy. His sentencing in that case is scheduled for March 13.